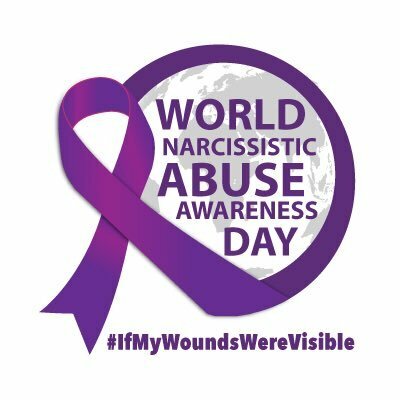 I'm really excited to announce that World Narcissistic Abuse Awareness Day is official. We've been added to the National Awareness Day Calendar, under the International Awareness Days section. Now, we need your help to really thing-a-fy this thing. Throughout the month of May, or you can start right now, join the cause and use the hashtag #IfMyWoundsWereVisible on all social media. On June 1st, we're going to use the hashtag on Twitter like we did last year, only this year, we hope to make an even bigger impact. There are many other ways you can get involved and show your support. To learn how visit www.wnaad.com for more details, and for a sneak peek at the official If My Wounds Were Visible video. Don't forget to friend WNAAD on Facebook for updates about this global, online event.